Gastronomistas.com | March 15, 2016.
http://orcaholding.com/wp-content/uploads/2016/03/Gastronomistas-Logo.png 288 288 Nela http://orcaholding.com/wp-content/uploads/2016/04/Orca-logo-full.jpg Nela2016-03-28 16:55:332016-05-16 15:44:55Gastronomistas.com | March 15, 2016. Good2B.com | March 15, 2016. Todos hemos interiorizado la apertura inminente de Soho House en Barcelona. Lo que no todos sabemos es que este club privado – que se destinó en un principio a la industria del cine, moda, arte y los medios de comunicación- ya ha abierto su restaurante a pocos metros del futuro hotel. http://orcaholding.com/wp-content/uploads/2016/03/Good2b-Logo-1.png 225 225 Nela http://orcaholding.com/wp-content/uploads/2016/04/Orca-logo-full.jpg Nela2016-03-28 15:59:312016-05-16 15:45:06Good2B.com | March 15, 2016. Hotel News Middle East | February 4, 2016. The ONYX Hospitality Group has inked a deal with Singapore Hospitality Holdings to accelerate the growth of the OZO and Shama portfolio across the Asia-Pacific and Middle East. A newly formed joint venture established by both partners is targeted to open 46 OZO and Shama properties in key Asia-Pacific city and resort destinations by 2024.
http://orcaholding.com/wp-content/uploads/2016/02/logo-hotel-news.png 800 800 Nela http://orcaholding.com/wp-content/uploads/2016/04/Orca-logo-full.jpg Nela2016-02-08 18:26:002016-05-16 16:07:44Hotel News Middle East | February 4, 2016. Onyx Hospitality | February 3, 2016.
http://orcaholding.com/wp-content/uploads/2016/02/logo-onyx-011.png 196 196 Nela http://orcaholding.com/wp-content/uploads/2016/04/Orca-logo-full.jpg Nela2016-02-03 21:02:442016-05-16 16:11:02Onyx Hospitality | February 3, 2016. CPP Luxury | February 1, 2016. Amari Havodda Maldives, a 120-villa private island hideaway located in the pristine Gaafu Dhaalu Atoll, has opened to guests. http://orcaholding.com/wp-content/uploads/2016/02/logo@2x1.png 504 503 Nela http://orcaholding.com/wp-content/uploads/2016/04/Orca-logo-full.jpg Nela2016-02-02 18:04:502016-05-16 15:45:40CPP Luxury | February 1, 2016. AOL Travel (UK) | January 15, 2016. Amari’s new Maldivian property is located on one of the most preserved atolls in the archipelago and will offer uninterrupted views of the ocean and beyond. http://orcaholding.com/wp-content/uploads/2016/02/Aol-logo1.png 1704 2272 Nela http://orcaholding.com/wp-content/uploads/2016/04/Orca-logo-full.jpg Nela2016-02-01 16:52:322016-05-16 15:46:03AOL Travel (UK) | January 15, 2016. Maldives.net.nv | January 15, 2016. Maldives.net.mv – Amari Maldives Havodda today welcomed their first guests. The resort located on the Gaafu Dhaalu Atoll, can be reached by a 55-minute plane journey from Male International Airport, followed by a 10-minute speedboat ride. http://orcaholding.com/wp-content/uploads/2016/01/Untitled.gif 263 263 Nela http://orcaholding.com/wp-content/uploads/2016/04/Orca-logo-full.jpg Nela2016-01-25 19:49:452016-05-16 15:46:34Maldives.net.nv | January 15, 2016. Architectural Digest | December 3, 2015.
http://orcaholding.com/wp-content/uploads/2016/02/Architectural-Digest-Logo.jpeg 1000 1000 Nela http://orcaholding.com/wp-content/uploads/2016/04/Orca-logo-full.jpg Nela2015-12-03 17:37:352016-12-06 16:46:13Architectural Digest | December 3, 2015. Expansion News | March 22, 2015. El selecto club Soho House abrirá una sede en Barcelona en 2016.
http://orcaholding.com/wp-content/uploads/2015/08/pressuno-expansion-featuredimage-soulfiremedia.com_.png 190 190 soulfire http://orcaholding.com/wp-content/uploads/2016/04/Orca-logo-full.jpg soulfire2015-08-04 20:33:552016-05-16 15:46:58Expansion News | March 22, 2015. 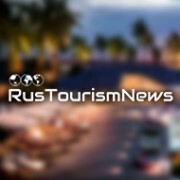 Rus Tourism News | March 14, 2015.
http://orcaholding.com/wp-content/uploads/2015/08/Rus-featuredimage-soulfiremedi.jpg 190 190 soulfire http://orcaholding.com/wp-content/uploads/2016/04/Orca-logo-full.jpg soulfire2015-08-03 14:34:082016-05-16 15:47:32Rus Tourism News | March 14, 2015.